How to make the right decision when choosing a Realtor to sell or buy a home. KASI Homes goes for a home appraisal. Furniture shopping with Real Estate Broker Keisha Hosea KASI Homes. Realtors buy homes and need furniture too. How Do You Find Who You Can Trust For Your Real Estate Needs? What Should I Expect At My Buyers Home Inspection? Should You Be Negotiating Or Simply Fact Finding Before The Buyer Actually Sees The Home? When A Home Is Over Priced, How Much Should A Buyer Offer The Seller? Do You Know The Difference Between A Necessary Repair vs A “Desirous Repair”? Your Corona CA Real Estate Agent Should Respect Your Privacy. Do They? How Do You Determine Whether To Buy A Home in Chino Hills or Rent? Our Mortgage Payment Increased Due To Our Impound Account. How Can The Mortgage Company Do This? Why Do We Have To Be “Cross-Qualified” By The Sellers Lender If We Are Already Pre-Approved With Our Own Lender? 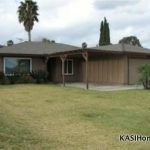 How Do I Use A Homestead for My Fontana CA Home? Is It Better To Be the Little Fish In The Big Pond When Buying My Diamond Bar CA Home? 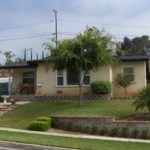 As A First Time Buyer in San Bernardino County, CA When Are My Property Taxes Due? 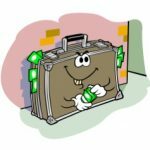 What Does A Back Up Offer Really Mean? Is It Possible To Sell Your Home During a Divorce and Keep Your Sanity? Seller Beware! You Like The Realtor You Interviewed But Do Other Realtors Like Them? Selling Your Home: It Really Boils Down To Supply and Demand. 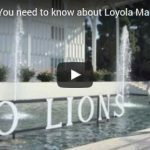 Do You Have An In Demand Product or is the Market Over-Saturated? Selling Your Home: Pink Fishnet Stockings May Not Be Your Style But You Better Stand Out! You’ve Inherited A House…Are You Ready For What’s Next? Is It Time To Encourage Your Parents To Do Some Estate Planning? What Are The Limits for Small Estate Probate Procedures in California? How Do I Sell A Probate Home? 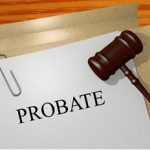 What is Probate and How Is The Realtors Commission Set During Probate?